It’s interesting to watch people’s reactions when I bring up IBM and “mobile” in the same sentence outside of work. The average person probably still thinks of IBM as being a computer company, a hardware company. The images IBM evokes for them first are probably the logo, then some notion of a computer or a server – definitely more IT than “mobile.” The connection isn’t quite there yet in their minds, probably because IBM’s relationship to mobile isn’t consumer-facing. 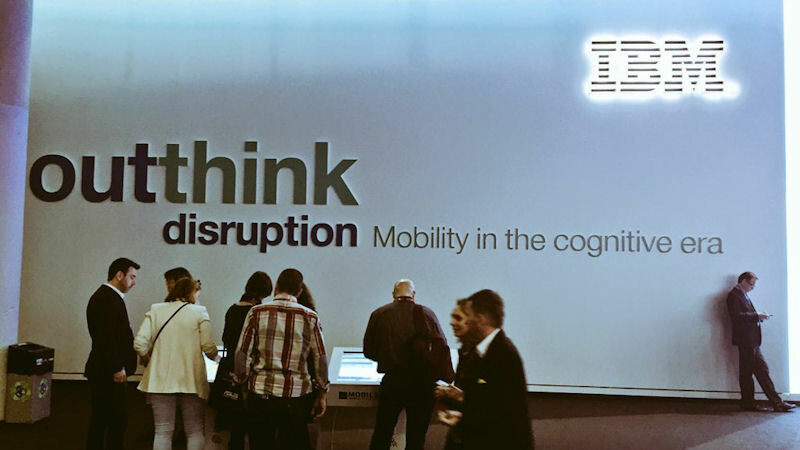 When I bring up IBM and “mobile” in the same sentence to digital business and tech professionals, however, I get a completely different response. They lean in and listen. They know the conversation is about to turn really interesting. 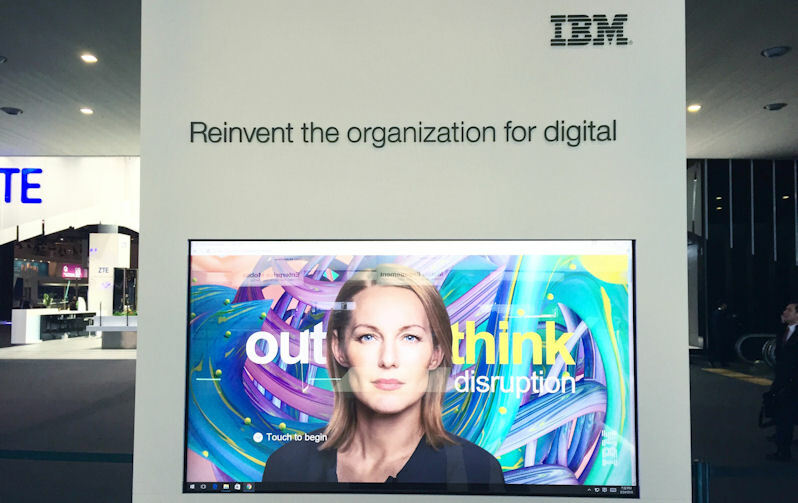 To understand why the intersection of IBM and mobile is so interesting, you have to take a step back from brand names and products for a minute, and consider the massive technological changes that have affected our world in recent years. Journalists like to talk about the computer revolution, and the internet revolution, and even the mobile revolution, but there’s actually something bigger going on. 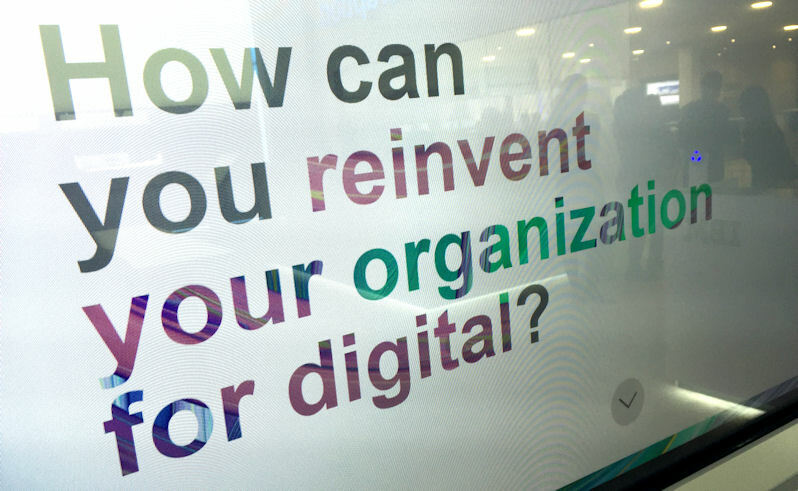 We are in the midst of a massive digital transformation. When I say “we,” I mean the whole world. By 2025, over 90% of the world’s population will own a mobile device, and over two thirds of those will be connected to the internet. Most human beings will be accessing the internet from a tiny device that fits in their pocket, a device they can take everywhere, a device that can help them organize their day, buy their food, pay their bills, create art, access news and information, connect with anyone around the world instantly, just for starters. As computer sales level out, mobile sales are still growing. Smart phones are cheaper than most computers, more portable and convenient, more fun, easier to use. They are a more natural tool for us. They fit in our hands. Our opposable thumbs let us type and swipe with more natural dexterity than a keyboard. Phones can do pretty much anything a laptop can do, and in many cases, they can do more. For all of these reasons, mobile is taking over the web, and as it does, business tools are increasingly following suit and adopting a “mobile first” approach to business. The thing about shifting to mobile first is that it requires a certain amount of transformation within an organization. Moving mobile from the edges of the business and into its core means that companies have to undergo a digital transformation: The business model has to be redefined. IT’s role has to be redefined. Processes have to become more fluid, more integrated. Data has to flow freely from one end of the organization to the other. This takes planning, access to technology services, access to digital transformation knowledge. That sort of change isn’t as hard as people think, but it requires a certain degree of vision, savoir-faire, and of course the right tools to pull it off properly. That’s where IBM fits in. Think about the IBM ecosystem: First, you have the cloud, which powers pretty much everything these days, from retail inventory and logistics to websites and phone apps. Data has moved to the cloud. Computing power has moved to the cloud. Basically, everything IT touches has moved to the cloud in some way. Even hybridized IT (where legacy systems and the cloud share the workload) is growing increasingly dependent on cloud storage and cloud solutions. Second, you have cognitive computing, which you can also refer to as AI: Intelligent computers that can learn on their own and interact with humans using natural language. 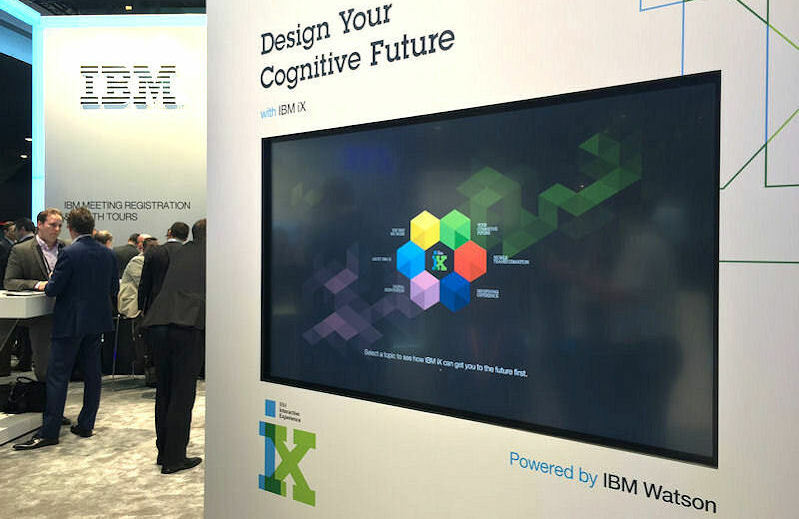 IBM’s Watson is probably the most famous cognitive computing projects in the world. So much so that “project” doesn’t really describe it anymore. Watson is a formidable technical achievement. He can have conversations with you, he can create recipes, teach history, argue a legal case. Watson is helping researchers find a cure for cancer, civil engineers design smart cities, and businesses make sense of their data. 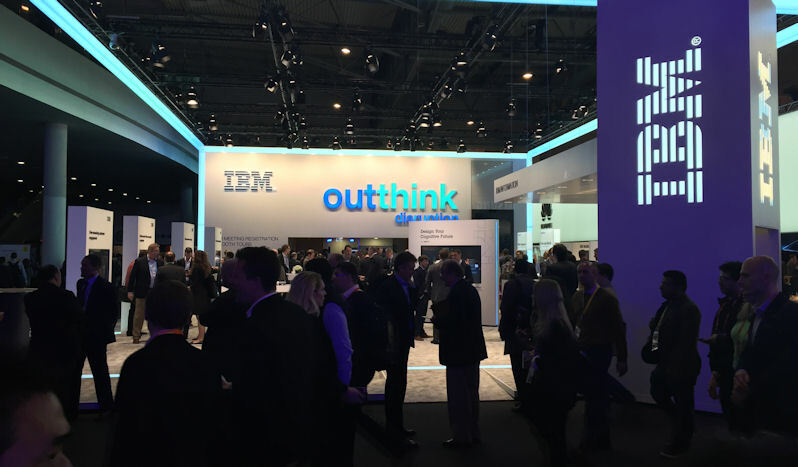 More importantly, thanks to the cloud, Watson can be anywhere. You don’t have to physically plug into a giant computer. 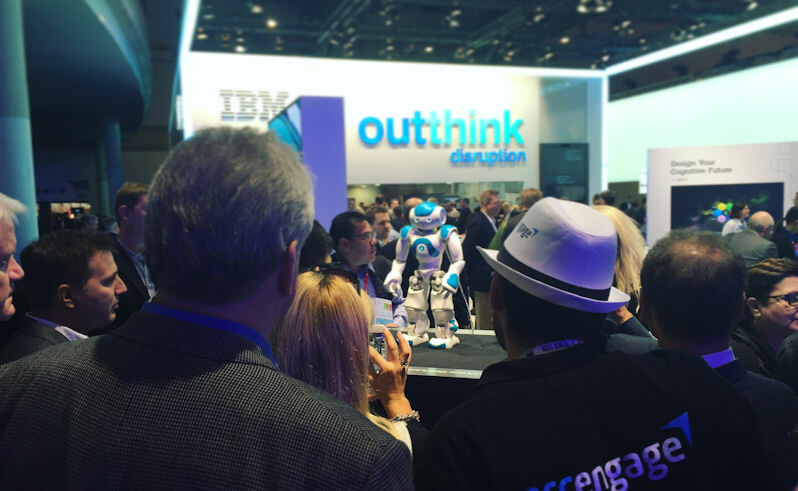 You can talk with Watson or use his computing power from (you guessed it) a mobile device. Third, you have Big Data. As our lives increasingly touch the digital world, everything we do is converted to data: what we like on Facebook, what we share on Twitter, what we post to Instagram. Our browsing and shopping behaviors are converted to data. The conversations we have online are converted to data (think keyword analysis). Where we go and how often we go there is data (your phone can capture that information). Where you live, what you do, who you know, where you work, what your hobbies are, what toppings you like on your pizza: data, data, data. Imagine billions of people generating data every single day. Ten years ago, computing power was still trying to catch up with that ocean of data. Today, it has caught up. From a technical standpoint, Big Data is about a lot of things: Capture, Capacity, Storage, Analysis, and Distribution, mostly. For the rest of us, and especially marketers, analysts and strategists, data is just the raw material for insights. Fourth, you have the internet of things, or IoT for short: Any connected device or smart device belongs in this category: smart phones, smart TVs, smart refrigerators, self-driving cars, wearable tech equipped with sensors and transmitters, and so on. For the sake of this conversation, let’s pay particular attention to beacons and sensors. All right. The key to understanding the importance of all this lies in being able to see how these four categories of tech work together. Cognitive computing by itself is a nice research project, but limited in scope until you combine Watson and Big Data. That combination is a force-multiplier: Big data is good, Watson is good, but together, they are great. And I don’t mean just great. I mean great by an almost exponential factor. Now add cloud into the mix and you suddenly have the potential for unlimited scale. Finally, bring sensors into the equation, and you can start getting really specific about the type of data you want to look at, and how this targeted data can be quickly turned into valuable insights. Let’s talk examples, because I want to illustrate the potential for this confluence of capacity. Let’s say you’re a retailer, and you don’t really have a lot of data on what is happening in your stores. You measure foot traffic (in and out), and you measure sales. Maybe you have a CRM system that lets you track some shoppers’ behaviors if they use their card or your app every time they make a purchase. Let’s say that you are looking for ways to grow your revenue and profitability, but you can’t think of ways of doing that beyond spending more on advertising. Let’s fix that. At its most basic, this granular traffic information can help you identify underperforming sections in that store. Equipped with that insight into a problem you may not have had eyes on yet, you can now do something about it. Maybe those sections need better lighting. Maybe displays and shelves can be moved to facilitate a transition or traffic flow from adjacent sections. Maybe it needs mirrors. Maybe that section needs to be moved somewhere else in the store. Once you make your change, you can immediately see if it has an impact on traffic, which means you can test, improve, test, improve, test and improve again at will. The data is there for you to use at will and indefinitely. If you don’t want to make those decisions yourself, cognitive computing can help suggest solutions and model them for you. Now let’s up our game a little bit and add sensors, say, on coat hangers or the shelves themselves. You can even use sensors in the price tags or in packaging. Again, with a cloud back-end, you would be able to track whether or not high traffic results in a proportional amount of sales compared to lower traffic areas. In other words, are shoppers just moving through areas to get to another part of the store, or are they stopping to buy items? These kinds of insights can help you interrupt, slow or redirect traffic through certain areas of the store to help increase product discovery (and hopefully sales). It can also help you test where products perform the best inside the store. Now, you can more easily focus on optimizing sales for specific items or product categories using a combination of IoT, cloud, and cognitive computing. We’re only scratching the surface, by the way. Let’s add customer ID into the mix: Say some shoppers have your app on your phone. They’re loyal customers. 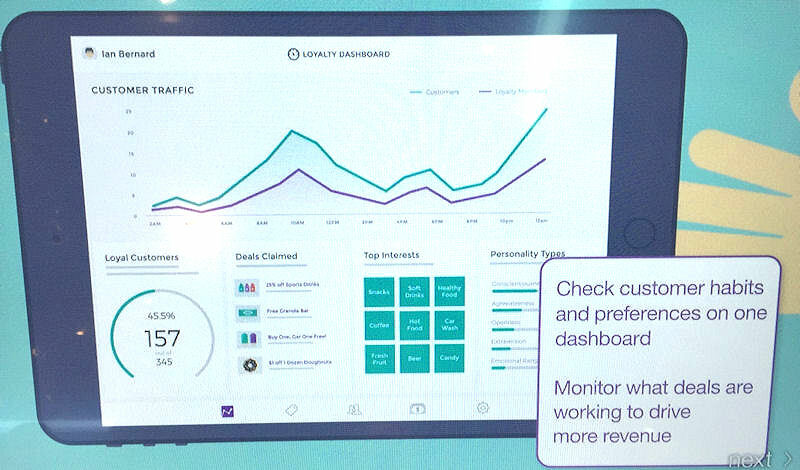 Now your system can track specific customers when they interact with your business. If they have looked for an item on your website, your system knows it. Every time they have made a purchase, your system recorded it. 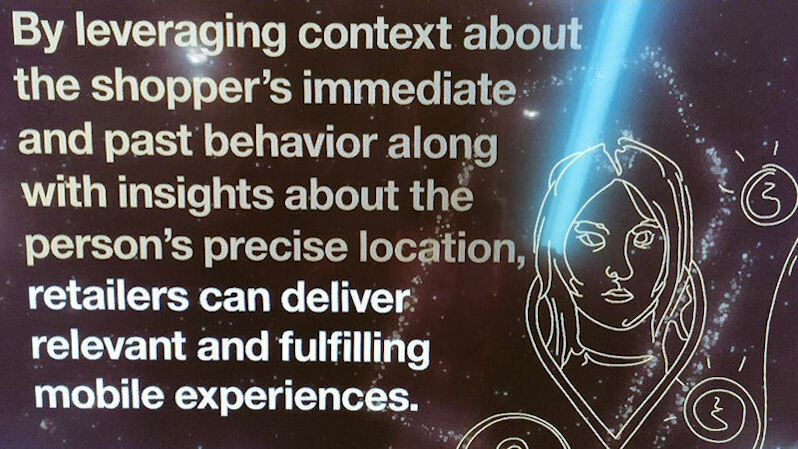 Cognitive computing is already creating a dynamic profile of that customer based on what they buy, how often they transact with you, how much they spend, how they prefer to shop (in the store, on the web, from their phone, etc.) Now that they are in the store, your system can analyze where they go, where they stop, what they look at, and more importantly, what they look at but don’t buy. Say they have been by the same rack three times in the past month but didn’t buy anything from it. Obviously, they are looking for something. Either you don’t have it in the right size or color, or they’re on the fence about the price. You can test that by letting the system (cognitive computing to the rescue) generate an offer specifically tailored to overcome this obstacle to purchase. If you have in-store digital displays, a special sale on that item category (or department) could pop up on displays near that customer. (Remember the beacons?) If a 20% off sale on that item doesn’t drive the purchase, you’ll know that the hangup probably wasn’t price. If it was, your system just drove a sale in real time by targeting the right customer in the right way at the right time. If no purchase is made, the system can be told to send that customer an email offer or a push notification on their phone. Compare this to scattershot advertising, and you can see how customized, personalized, highly targeted ads and offers will probably generate much greater ROI. In the interest of not being too long-winded, let me stop here with our example. By this point, you should start to get the idea for the potential of these technologies when used in combination, and towards specific ends and outcomes. Retail is one area of focus, but there are more: Healthcare. Education. Sports. Tourism and travel. Banking. Finance. Design and engineering. Utilities… You name the industry, the vertical or even the specific line of business, and this cluster of technologies can help increase project velocity, iron out the wrinkles, amplify impact, lower costs… Everything becomes easier, smoother, more fluid. That’s how IBM fits in. And the beauty of it all is that IBM doesn’t just provide the ecosystem. 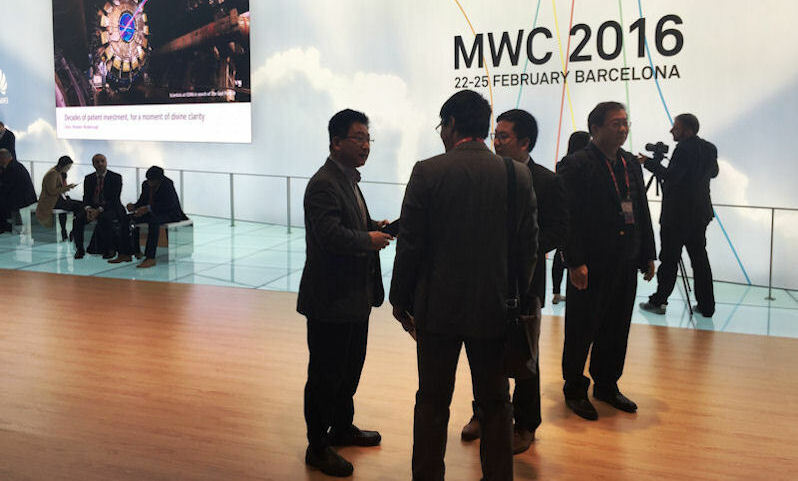 It has already built specific solutions for key industries and lines of business. If all you want is market insights, you can focus on that. If your digital transformation is specific to healthcare or logistics, you can keep it as focused as you want. If your interest is limited to cybersecurity as it applies to the mobile workforce, there’s a specific solution for that as well. From Bluemix to MaaS 360, IBM is probably already 50 steps ahead of you, so its experts can help you get from here to there faster and better than if you tried to figure it all out on your own. I will be writing more on the topic of digital transformation and the impact it can have on business outcomes, but for now, I am going to let you do your own research. 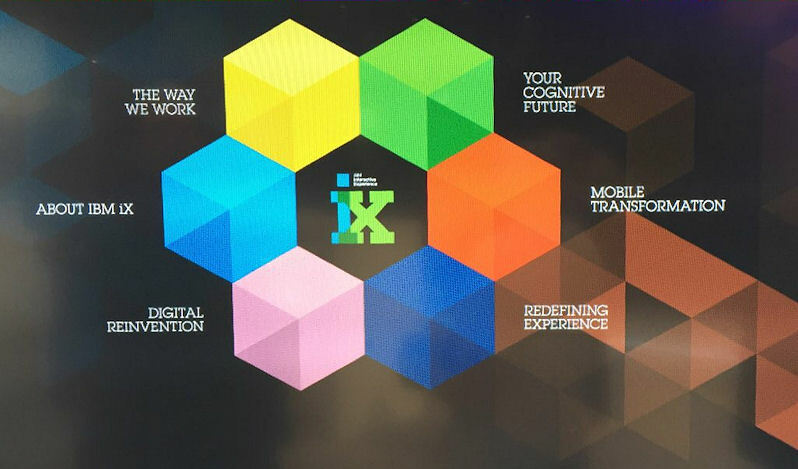 To dig a little deeper into #IBMMobile and what we just talked about today, start by clicking here. 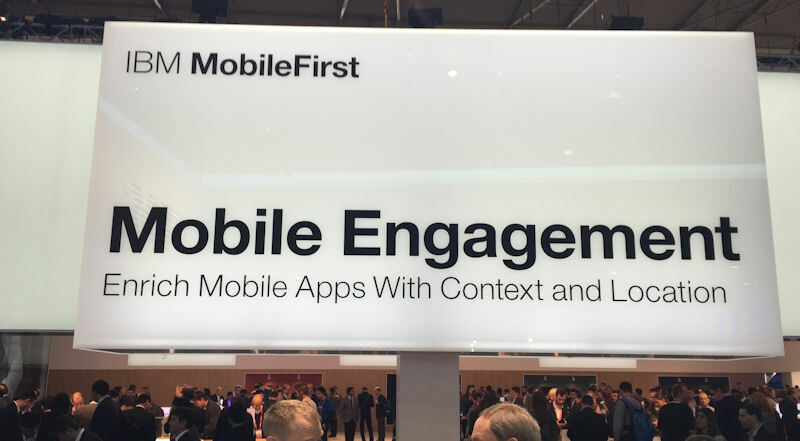 Disclosure: I was engaged by IBM to attend #MWC16 and asked to write about my experience at the conference. Though I was remunerated for my time, the choice of topic for this post and my opinions are entirely my own. If you want to help improve business through your digital programs, pick up a copy of Social Media ROI –Managing and Measuring Social Media Efforts in your Organization: The #1 Social Business desk reference for executives and digital managers. 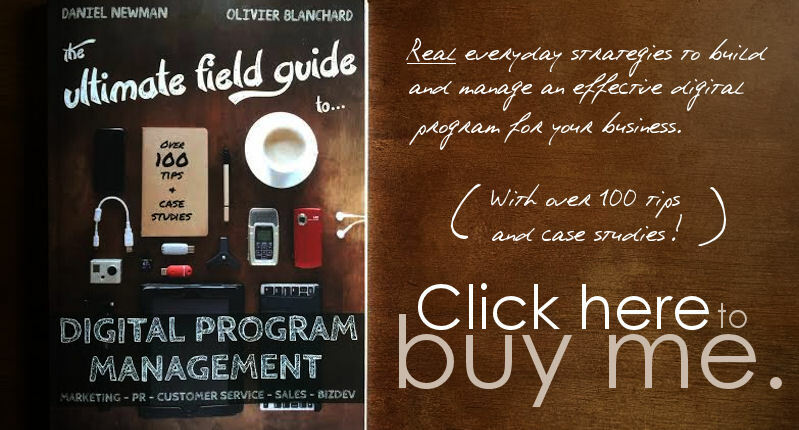 The follow-up – The Ultimate Field Guide to Digital Program Management – is pretty handy too, so you should absolutely add it to your collection.